Our dash insert for your 1964-66 Chevrolet Pick Up fits in the factory location but allows you to use modern, dependable, new instruments. Our two piece design features a polymer backer with a stainless steel face plate that we "engine-turn" in house the old-fashioned way. 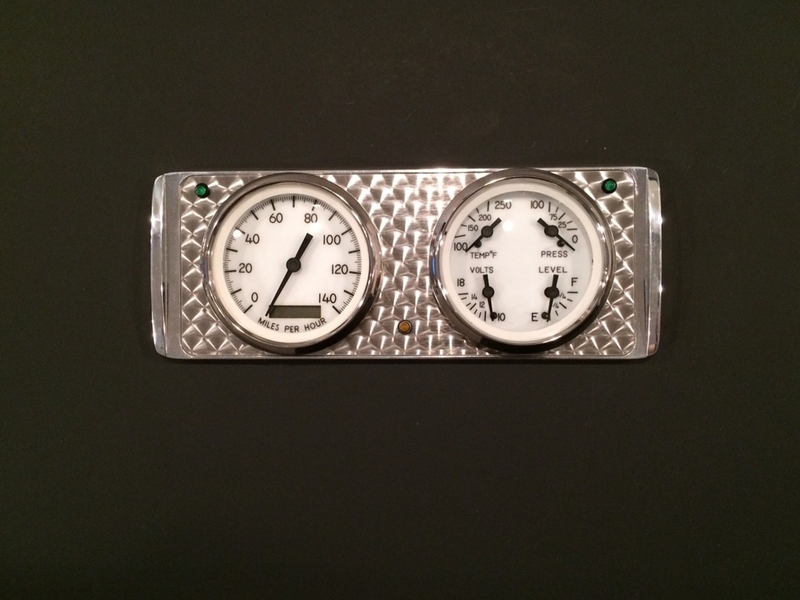 The Haneline insert installs with your factory hardware and includes LED directional indicators. 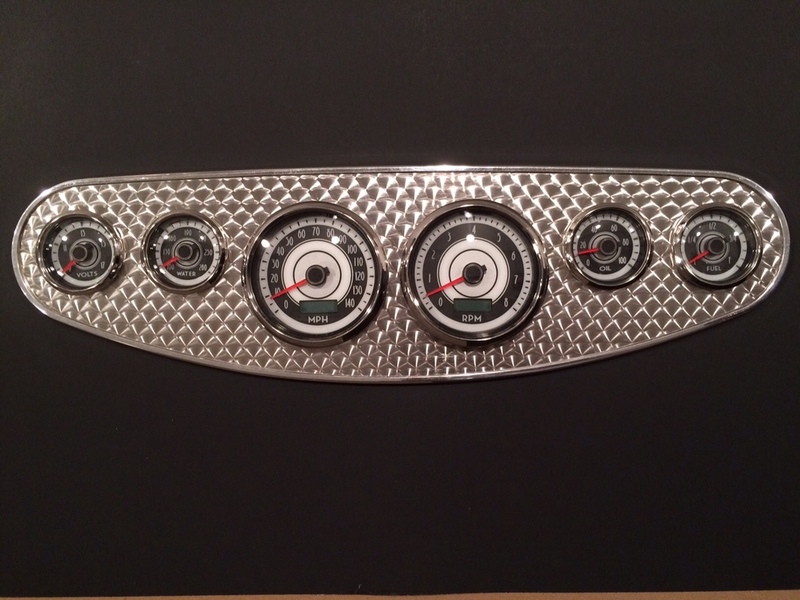 We have paired this Dash in a discounted package with the Veethree Instruments Sterling Series Instruments. These Instruments feature high-performance styling along with air core gauges, red-tipped pointers, traditional incandescent lighting, and popular aluminum-look centers. These great kits feature GPS Speedometers that use global-positioning-satellites to tell your speedometer how fast you are moving across the earth. These GPS kits ship with all needed senders.